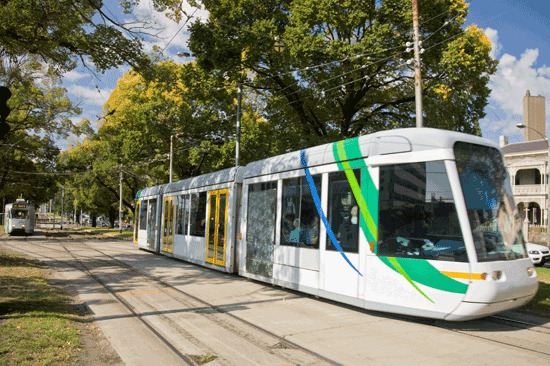 Australia's public transport system includes trains, buses, trams and ferries. There are also taxi services in all cities and major towns. 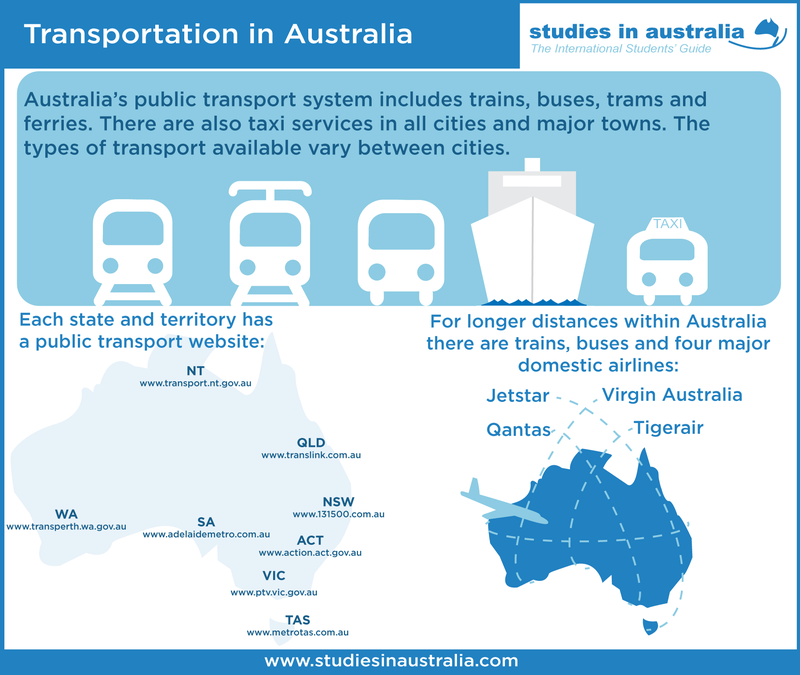 The types of transport available vary between cities. Your education provider will be able to give you details of local public transport when you arrive. While larger capital cities typically offer a number of transport options, transport is generally more limited in regional areas, often consisting of a local bus service. Check with your institution to see whether you qualify for student travel concessions. There are also various small regional airlines for travel to regional or remote areas. International students may drive in Australia on a valid overseas drivers licence, which you must carry with you when you are driving. If your licence is not printed in English, you must also carry either an English translation or an International Driving Permit (IDP). Remember that Australians drive on the left-hand-side of the road. There are different driving regulations in each state and territory, so it's important to familiarise yourself with the road rules. Your education provider will be able to direct you to the necessary organisations.